A Twitter account that belongs to a young girl from Idleb has angered the Russians, who claim that it is part of a Western propaganda program writes Syria TV. With a personal account with no more than 700 followers on social media and no more than 13 tweets, a Syrian child, “Hala,” worried the Russian Foreign Ministry, and forced their spokeswoman to hold an emergency press conference. 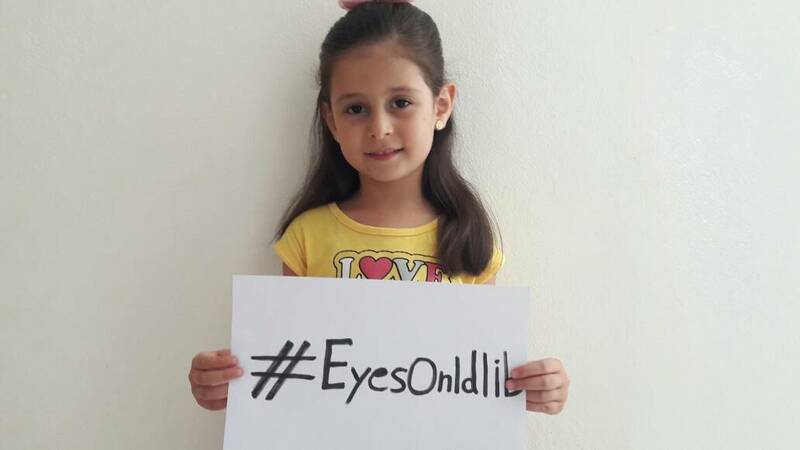 Recently a personal account appeared on social media under the name Hala, which is owned by a six-year-old Syrian child who lives with her mother in Idleb city. With calls in English and Arabic, it aims to turn international attention toward the suffering of Syrian children generally and toward the areas outside regime control in particular. The account saw good demand at its launch at the end of July with its followers reaching about 700, and views of no more than 4,000 for its videos. However it saw major media attention over the last couple days, after a press conference held by the Russian Foreign Ministry spokeswoman Maria Zakharova on Aug. 29, 2018, in which it accused Western and American media of being behind the account. The Russian Foreign Ministry accused the account @hala_syri of being a propaganda project aiming to ensure media coverage for a probable Western strike on Syria as a result of chemical provocation in Idleb, saying that this could play a pivotal role in achieving the probably scenario in Idleb against the regime forces. Zakharova added the the account had been carefully conceived and crafted, in a manner traditional for Western partners in the field of Syrian propaganda, saying that “Hala” is now continuing the mission of the account of the child “Bana al-Abed” who actively posted, including in English, during the height of the military campaign in Aleppo in 2016 and that the two pages use similar expressions and words. Zakharova concluded by confirming that such projects have previously been created and achieved by Russia’s Western partners by the power of media and propaganda tools, saying that they exploit children and their suffering, and that using them for these types of aims was totally unacceptable. Speaking to Syria TV, the mother of Hala denied her child’s account was connected to any media or political entity inside or outside the country, saying only she was responsible for its administration, and there were no American or Western media following her.